Here is a summary of the most important churchyard regulations for Oxfordshire. It is essential to speak with the local vicar as we find there are always local variations in what is allowed. Some vicars are much more liberal than others! Other dioceses have their own regulations, although they tend to be quite similar. Memorials must be made from natural stone with a nonreflecting surface, or of hardwood. Local stones or those similar in colour and texture are preferred. Black blue or red igneous rock (eg red granite), marble, synthetic stone or plastic are not permitted. The materials I use tend to be favoured by vicars as they are from the UK and are honed (not polished). I never use polished marble or granite. In the Cotswolds, there is often a preference for a light coloured stone, although Cotswold stone itself is not suitable. 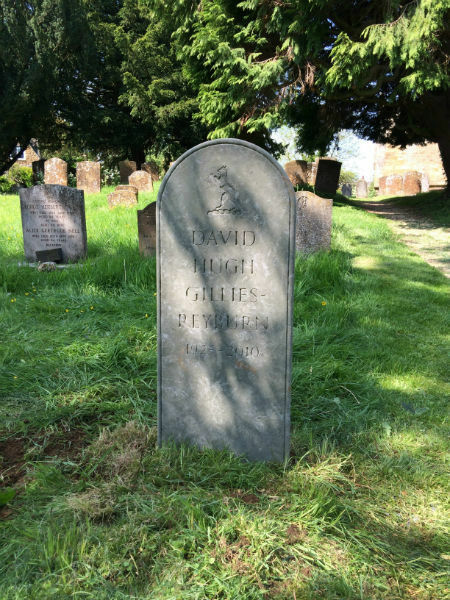 A memorial may be: no larger than 4ftin height from the ground, 3ft in width and 6inches in thickness; and no smaller than 3inches in thickness, save that slate memorials may be no smaller than 11/2 inches in thickness. In practice this means that from time to time a special permit called a faculty may be needed if we want a headstone which falls outside these regulations. The existing headstones in the churchyard are not indicative of what might be permitted in the future. I always prefer to set my headstones straight into the ground with no base. However, a headstone may stand on a stone base, provided that it is an integral part of the design and does not project more than 2 inches beyond the memorial in any direction. A ledger must be rectangular or square in shape. A memorial need not be rectangular in shape and curved tops may be preferable to straight edges. Most of the headstone shapes on my website are permissible. Heart shaped or crosses are not permitted without a faculty. 5.The rear of the memorial must be left plain. It is worth asking the local vicar for advice on this if you want to put something on the back. If he is supportive then permission might be obtained without the need for a full faculty. Armorial bearings, crests, figurative sculpture, or other statuary may only be authorised by faculty. Again, in practice this is not always the case; check with your vicar in the first instance. Symbols from nature like trees, animals and flowers tend to be allowed, and more unusual symbols are often approved too. Inscriptions must be simple, reverent and theologically acceptable; they may include appropriate quotations from the Scriptures or literary sources. Nicknames or pet names may be used in addition to baptismal names; they should, however, normally be included in inverted commas within the name of the deceased. Clients often choose quotes from poems or other literary sources and as long as they are tasteful there isn't usually any objection.